Villanova guard Phil Booth (5) puts up a three over Kansas guard Lagerald Vick (24) during the first half, Saturday, Dec. 15, 2018 at Allen Fieldhouse. Quick grades for five aspects of the Kansas basketball team’s 74-71 win over Villanova on Saturday at Allen Fieldhouse. KU got off to a promising start and an 8-1 lead with a couple of early 3-pointers — one from Devon Dotson and another from Lagerald Vick, who was back in the starting lineup. Turnovers began to bog down the flow for KU, though, soon after, as the Jayhawks turned the ball over on six of their first 18 possessions. 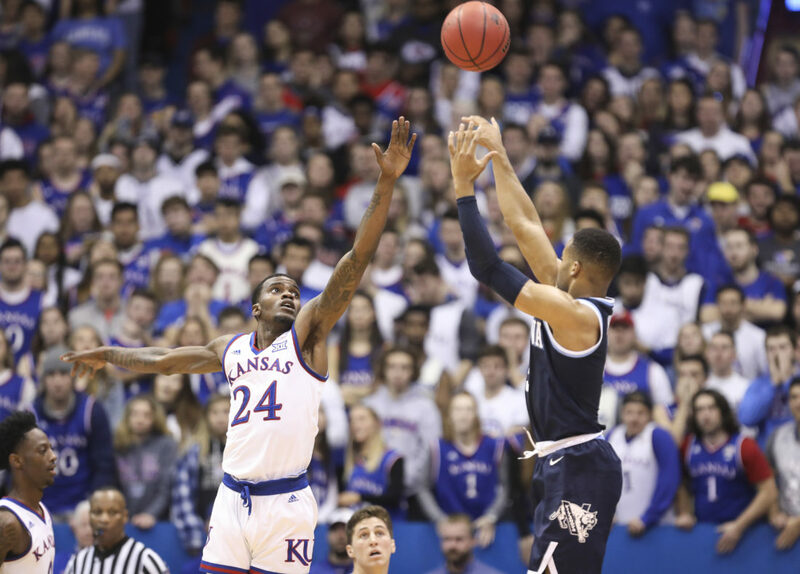 Mainly due to the soundness of Villanova’s defense, the top-ranked Jayhawks never looked particularly dominant on offense and finished with only nine assists, compared to their 14 turnovers. KU shooting percentages: 50% field goals; 33.3% 3-pointers; 76.7% free throws. Some breakdowns early allowed Villanova to get out in front, 13-8, at the 14:33 mark, with Villanova frontcourt players Erick Pascahll (17 points, four rebounds) and Saddiq Bey (seven points, five rebounds) going to work. KU’s defense picked up soon after, though. Villanova shot just 38.5 percent from the floor in the first half and only hit 5 of 13 from 3-point range. The Jayhawks held the Wildcats to 31 first-half points but only took a two-point lead into halftime. In the second half, Villanova made just 3 of 15 3-pointers. Villanova shooting percentages: 40.7% field goals; 28.6% 3-pointers. Dedric Lawson didn’t suffer from the same type of rough start that plagued him a week ago against New Mexico State. Playing inside the fieldhouse against a top-25 team, Lawson looked far more comfortable and put up 14 points on 5-for-7 shooting by halftime. 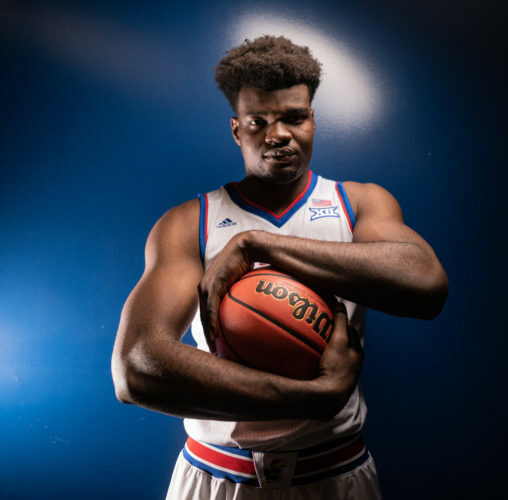 With KU playing its four-guard lineup almost exclusively, Lawson logged 38 minutes and co-starred with Vick to push KU past its Big East foe. Lawson produced a double-double, with 28 points and 12 rebounds. As usual, the only issue with Lawson was his interior defense, where he too often gives way to assertive takes. 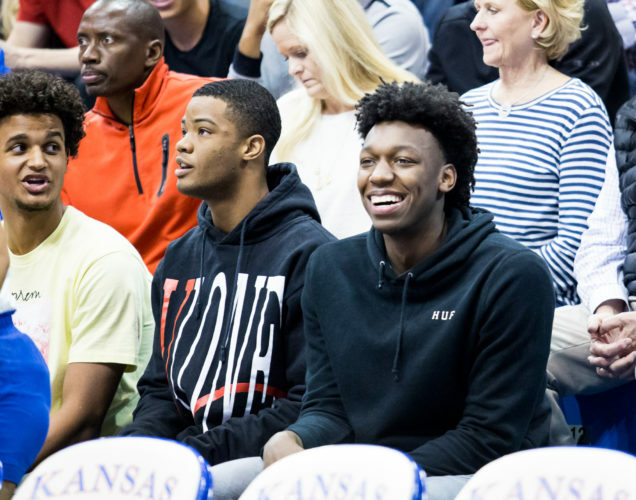 Vick knocked in a couple of 3-pointers in the first half, giving KU some backcourt support for Lawson. But Dotson ran into some issues with fouls, as did Grimes, who struggled to find his footing. 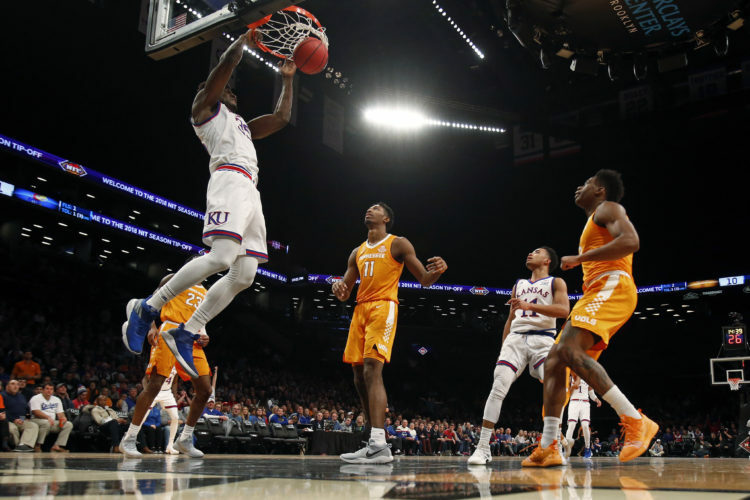 In such a rhythm offensively that even contested, long 2-point jumpers were dropping for him, Vick took off in the second half, giving the Jayhawks the perfect perimeter complement to Lawson. Almost none of Vick’s and Lawson’s teammates had it going, and it didn’t cost the No. 1 team nearly as much as that kind of imbalance should have, mainly because Vick was so good. Plus, Vick came through with as important of a defensive rebound as there was in the game after he threw away an inbounds pass in the final minute. Vick put up 29 points and seven rebounds. Dotson had 11 points and one assist, and Grimes played only 14 minutes, providing a single point. Dotson’s acrobatic drive and finish in crunch time put KU up 63-58. Marcus Garrett’s defense makes him irreplaceable, as he finished with four steals — even if he provided little in terms of offense, with one point and three assists. None of KU’s guards could wrangle crafty senior Phil Booth, who finished with 29 points and two assists. KJ Lawson dished to a rolling Mitch Lightfoot for a layup in the later stages of the first half, when KU had three backups on the floor at once and needed some scoring. With Grimes picking up three first-half fouls and Dotson two, Kansas had to rely more than usual on its bench early. Charlie Moore struggled, turning the ball over three times and fouling twice in his first 14 minutes off the bench, which included neither an assist or a point from the sophomore point guard. KJ Lawson was active if not effective and Lightfoot helped out defensively, at one point forcing Paschall to travel. In the second half, with the game tight, Lightfoot made a solid block inside on Bey. With Moore scoring two points and Lightfoot adding two, KU outscored Villanova’s bench 4-0.